BOW WOW FILM FESTIVAL AT THE LARK! Screening and Benefit for the Kern Project – Northern California Family Dog Rescue. 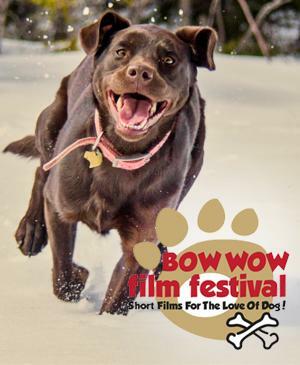 Bow Wow is a joyous traveling film festival that celebrates, educates and inspires all things doggie (with or without their human) through the art of short film. 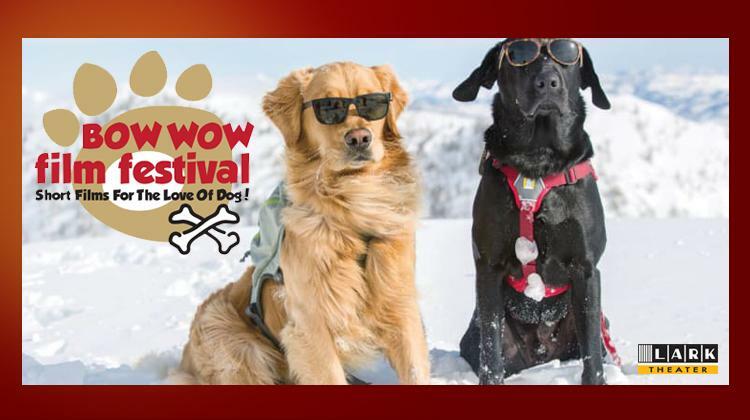 Each year, the Festival features some of the year’s’ best pooch themed short films all wrapped up in one 90-minute beautiful, fun-loving package! Bow Wow presents an opportunity for animal welfare groups to host an event that generates awareness as well as offers a unique and delightful way to fundraise. Since launching in 2015, over $200, 000 has been raised for animal welfare partners at Bow Wow Film Festival events! Advice by a dog, for a dog. A pup & his new owner learn to navigate the twists & turns of their lives together. A young pup seeks love in a cold place. The story of the amazing Gobi, her person, and how they found one another. Of course camp would be better with your dog! A dog fears that he has lost the love of his owner. Paco, a dog, owned by an adorable old lady, wakes up and finds the love of his life in an unexpected way. Deep into the mountains with Kicker and Gru. A former pet food star must resist her natural cat instincts when she is out in public. Mr. Davis & Jughead perform a scene from Shakespeare’s Two Gentlemen of Verona, Thus I would teach a Dog. The story of a border collie named Asher and his family. A film that explores the relationship of working dogs and their handlers, filmed in Tanzania. A sanctuary for Mutts in Costa Rica. Moose is a heart-warming, sometimes funny and often magical film about love, loss, and the circle of life. An engineer crafts wheelchairs for dogs. A dog is found on the side of the road in the Alaskan wilderness. Stacey gets in her car and drives for hours to pick the dog up. It’s the start of a beautiful friendship. The delightful story of Jessica & Tommy. Writer Ed Yong explains the surprising origin of dogs in light of new research. I wish I had this dog’s life! A day in the life of Josie,once known as #3632-5. The Kern Project is a mission to save the dogs of the Kern County Animal Shelter through rescue, foster and low-cost spay/neuter programs. Kern County has been overflowing with dogs and puppies of all ages for ten years. Sadly, over half of the dogs that came through the shelter in 2011 were euthanized for lack of space. Northern California Family Dog Rescue, a 501c3 non-profit organization, saves great dogs from shelters all over California. Family Dog has created a special program to rescue dogs from Kern County and transport them to foster or adoptive homes in Northern California.